In its broadest sense, occupational therapy (OT) helps to foster general well being by enabling individuals to engage in the activities of daily life. OTs assist to improve people’s independence to ensure that they engage in their community in ways of their choosing, and can complete everyday activities. One way occupational therapy may help enhance someone’s independence is to work with them to develop their social and interpersonal skills, which enables them to interact better with their peers. This article discusses how OTs help children with social skills issues. It is important that children develop the skills to be able to play and relate appropriately with other children, as these interpersonal skills become increasingly vital as the child grows older and matures. In almost all aspects of everyday life, it is critical that people are able to connect and collaborate with others. The evolution of adequate social skills helps children learn how to deal with conflict or challenging incidents, better understand (their) emotions and social roles, learn how to solve problems, and adjust to change. However, many children have difficulties in progressing these areas, and occupational therapists can work with the child to improve these skills. Relating to the child’s interests: Play is fun for children, but it is also vital that they learn how to play in a purposeful way. Leisure time or social activities is often regarded as play also, and this helps to broaden a child’s social interests. An OT may incorporate a child’s interest in a particular toy or task to work on social skills. Naturally, it is also critical that as the child matures and grows older, the stages of play are identified, and the strategies adapted to continue to bolster the child’s range of experiences. Assessing the child’s environment: OTs appreciate that the child’s everyday surroundings often has consequences on the development of social skills. Some children have difficulties with sensory processing, and may find certain environments (e.g. noisy or crowded places) challenging. An OT can determine aspects of the child’s environment that may be hindering their ability to engage, and can formulate techniques to help them cope better. 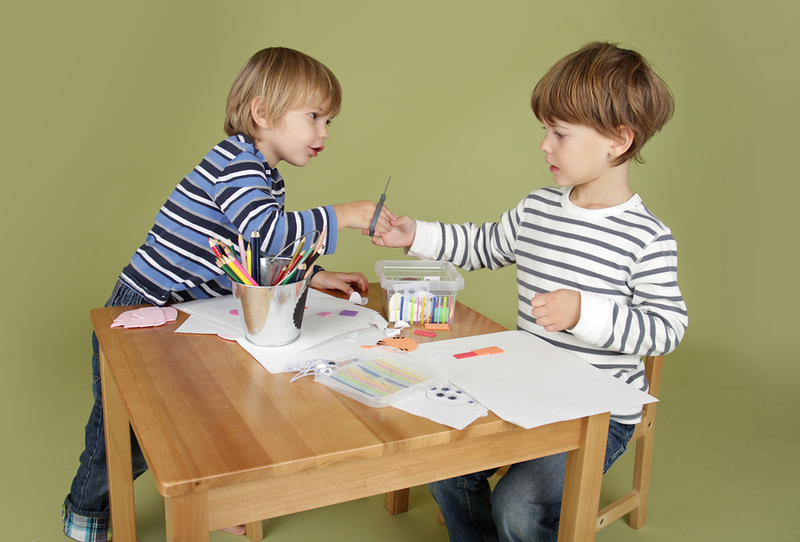 Simplifying tasks: The progression of play can be difficult for some children to understand, and some children may not recognise social cues in the same manner or at the same rate as their peers. An OT promotes children’s learning by breaking down tasks or activities and educating them about what is expected or appropriate in social settings. Role play: This can be effective to give children practical examples of how to appropriately behave and react in social settings. OTs can utilise this often-enjoyable teaching strategy to educate children on elemental concepts such as boundaries and personal space, asking for help, sharing or taking turns, introducing themselves. Modelling: It is important for the adults in the child’s life to set good examples, as children will commonly mimic or follow what they see/hear from their parents. OTs often work closely with the family to provide support and enhance awareness that their behaviour can directly influence their child’s.